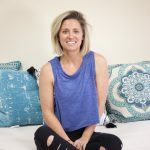 Susan has been practicing yoga consistently since 2010 as a personal outlet from chronic anxiety and the stress of teaching special education all day. She was feeling fatigued and mentally drained but practicing yoga was always rejuvenating for both her body and mind. She wanted to deepen her understanding of the practice, so completed a 200 hour yoga teacher training in 2016. 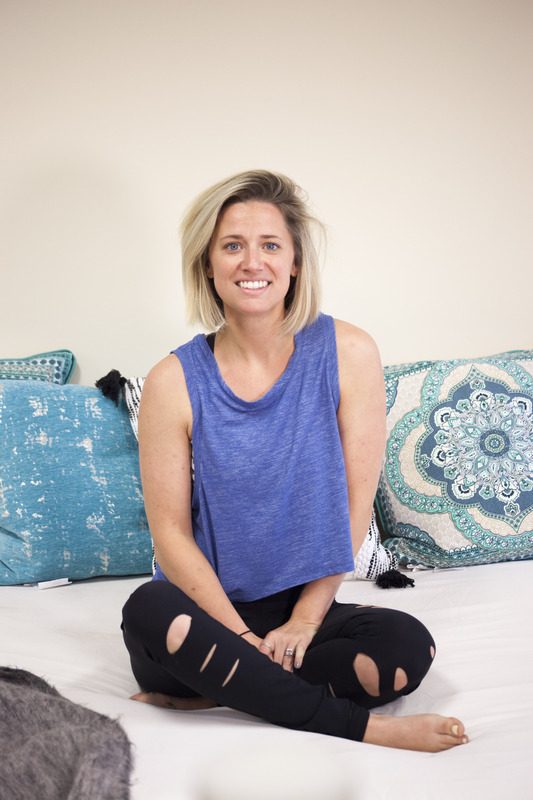 After resigning from teaching special education to have a baby early 2017, yoga has helped her find and hold onto her personal purpose after these major life changes. Then she practiced Rocket Yoga. She loves that the sequences feel challenging and strengthening yet are nurturing to the body and mind. 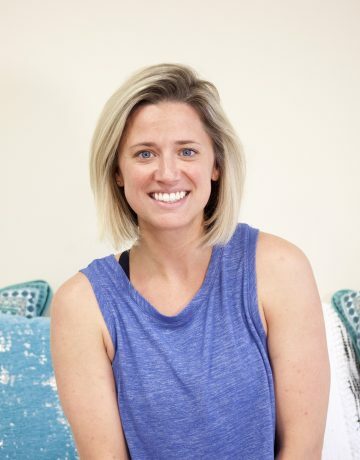 She attended Rocket Teacher Training in May 2018, and is excited to begin her journey as a yoga teacher through the Rocket. What’s your passion? Helping others be productive. Anyone really, but specifically, I like to work with individuals with disabilities and want them to be more a part of our community. Favorite book? I try to read! But I never finish the books I start! Favorite restaurant? That’s tough. Seabear is probably my favorite, but Agua Linda & Amici’s are definitely most frequented. I started practicing consistently my first year teaching school. It was a nice way to unwind mentally but also a good way to exercise and move my body after all of the stress build up from the day. Power and vinyasa. And Rocket! I like to feel strong when practicing and challenge myself. I’m also full of nervous energy, so I like to keep it moving. No 10-minute savasanas for me. I’ve only been teaching for a few months now. I got my 200 hr in 2016 with the desire to take my personal yoga practice deeper. Being a school teacher, I figured it would be a nice option to have in case the opportunity arose. I was sort of unsure of myself as an instructor until I began practicing at M3 and with Nick. But I seem to have found my confidence and voice. Enjoy the process! Take your time and listen to your body. Own and accept where you are today; it’s a journey and will constantly change! I’m only teaching Rocket right now, but I love it! It’s playful and fast. Its accessible but challenging. I love Power360 because it’s so thoughtfully sequenced and makes challenging poses more accessible. I enjoy the energy and community. Its all-encompassing. You wouldn’t think individualized group yoga classes are a thing, but it feels like it is. Every class seems to meet the needs of every person taking it. It just feels like you’re supposed to be here. It’s a very uplifting and supportive community.